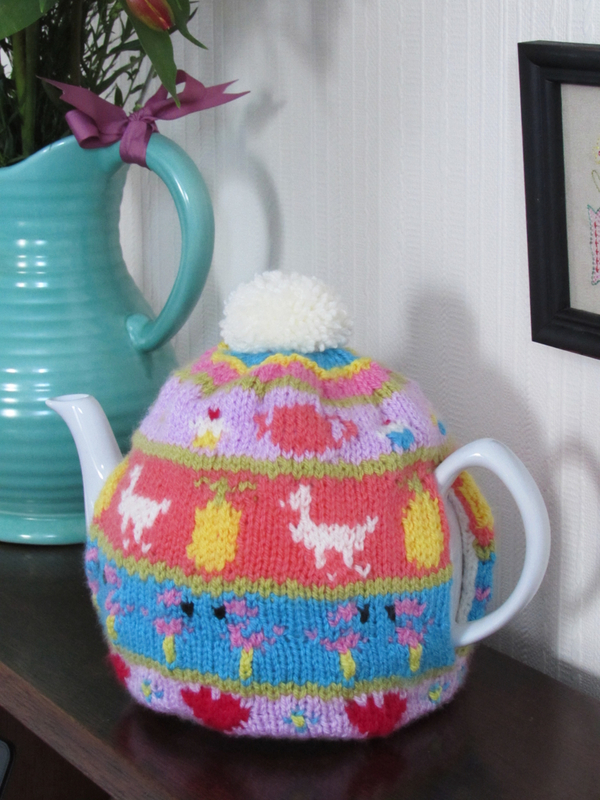 I do love a bit of Faire Isle knitting, I like to watch the patterns evolve as I add each row, and it seams to encourage me to knit more. 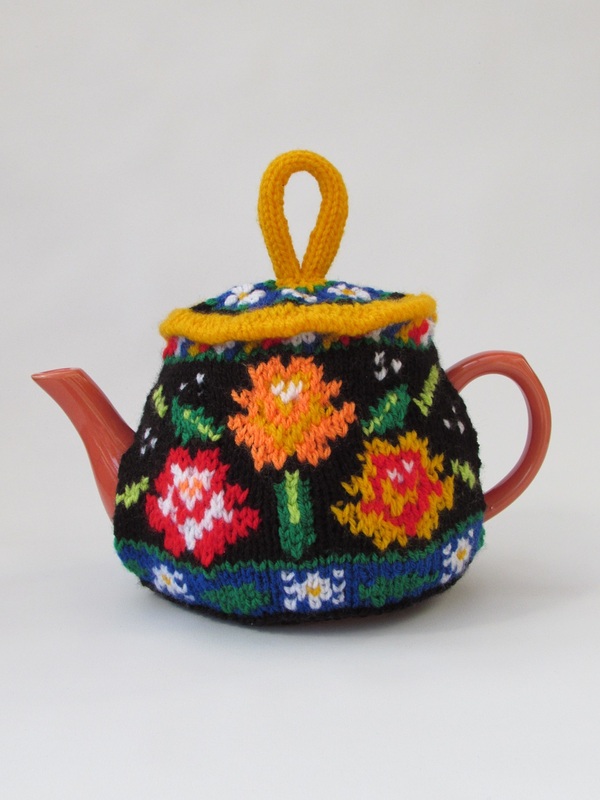 It is very fiddly though, with all those colours, but it looks so charming and a bit Swiss I always think. 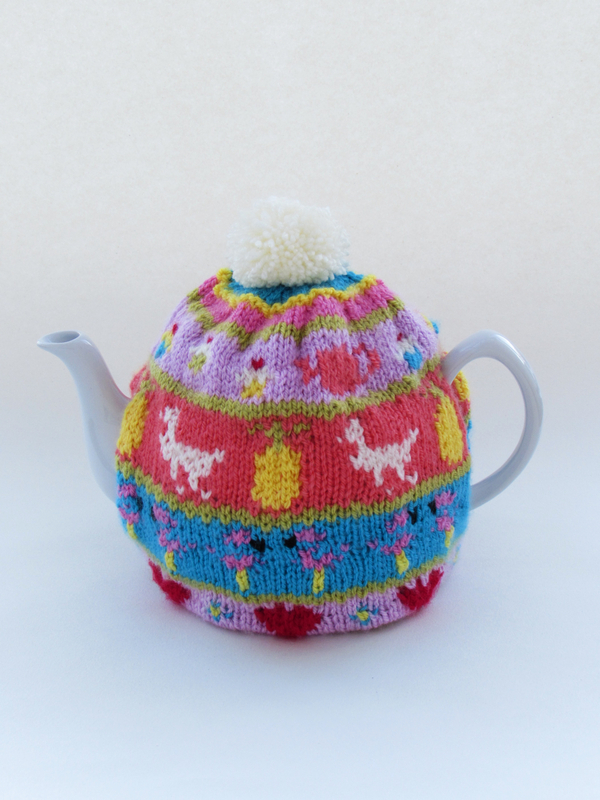 This tea cosy is simply a mish mash of lovely things, the Fair Isle knitting and pompoms, hearts and forget-me-knots, flamingos, llamas prancing between giant pineapples, followed by tea and cakes. 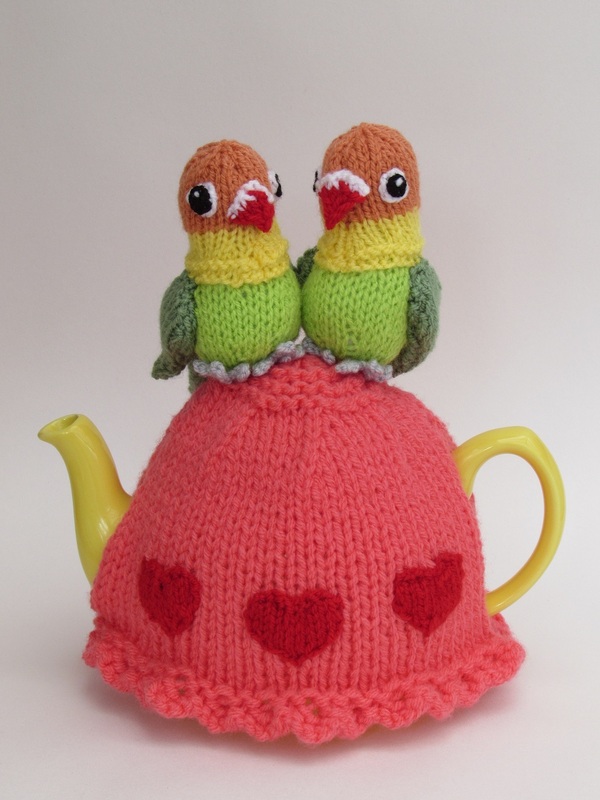 There's no rhyme or reason, just favourite things that the heart finds uplifting. 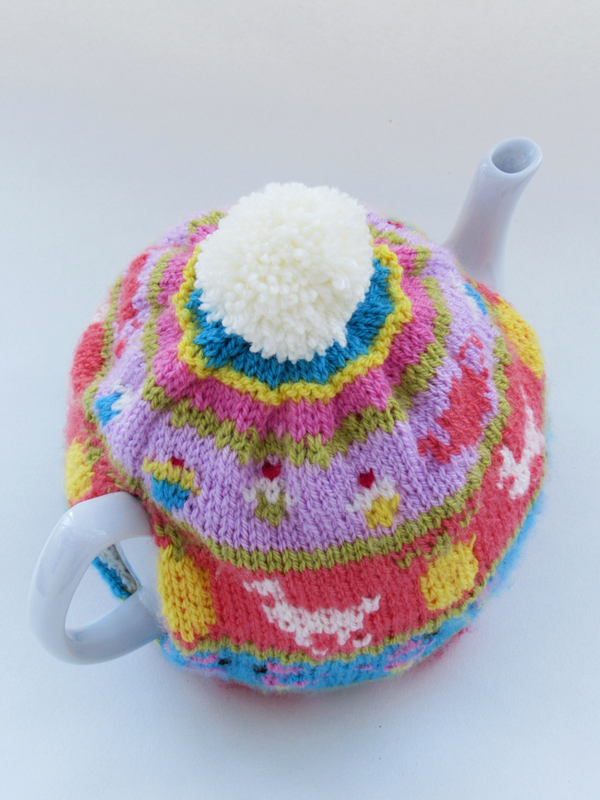 The colours are quite subtle, and the pastel tones give the tea cosy that Vintage look. 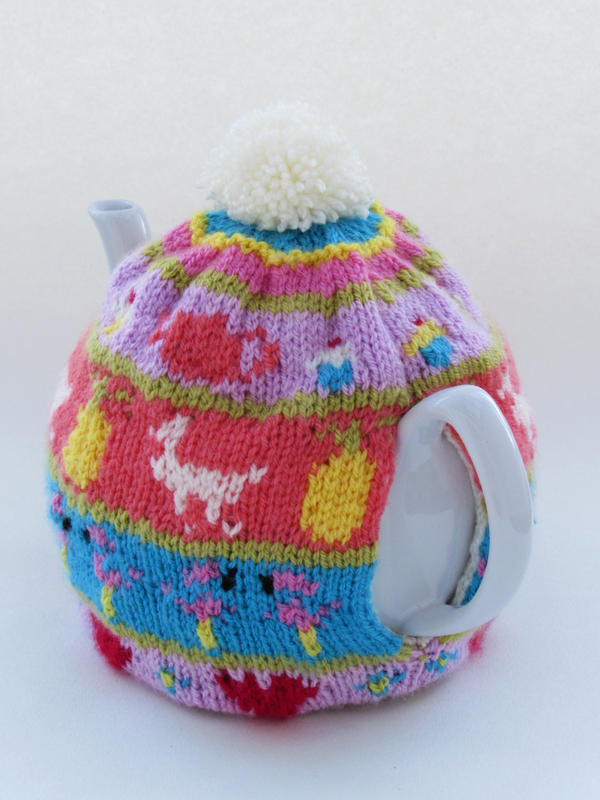 This tea cosy has a knitted liner inside to keep the teapot nice and hot. 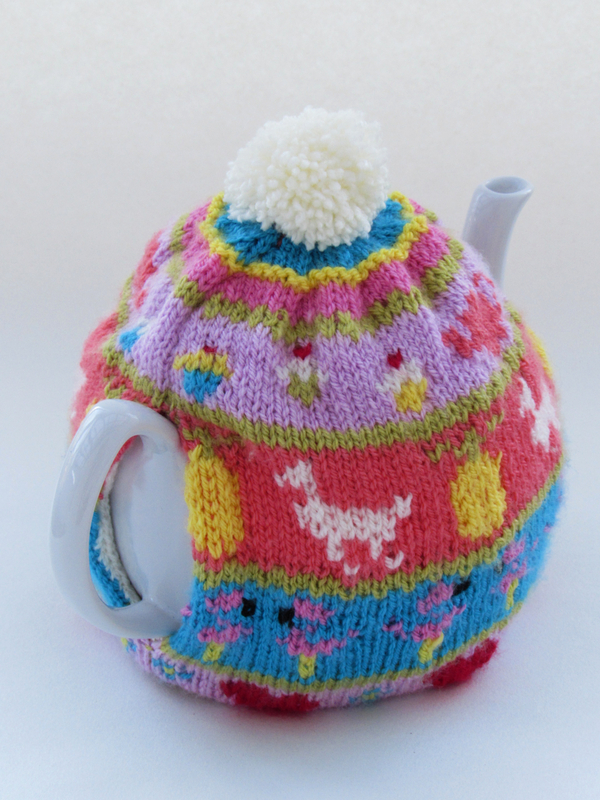 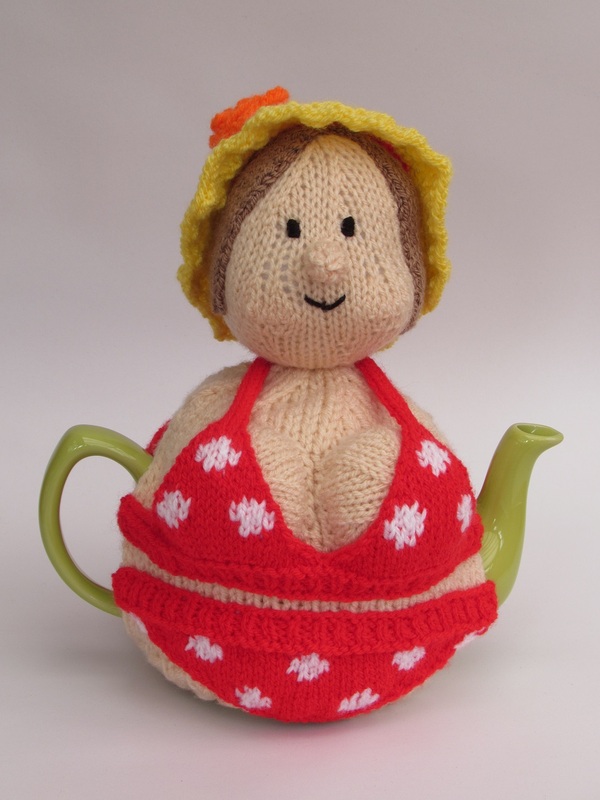 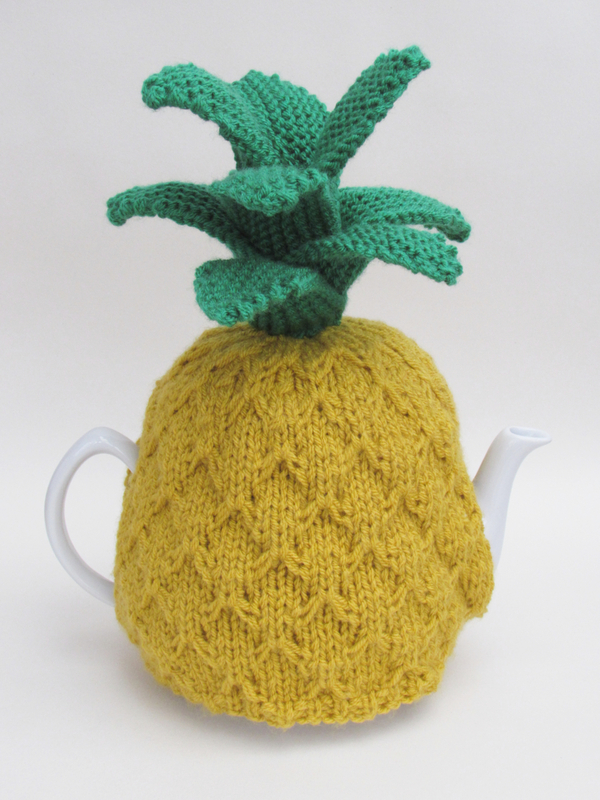 This tea cosy fits a large sized teapot that holds 1.5 liters or 10 cups. 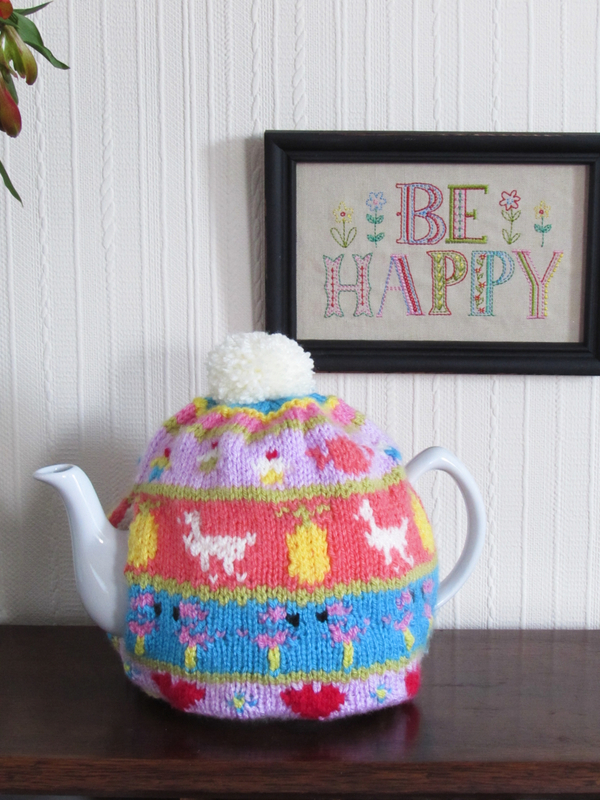 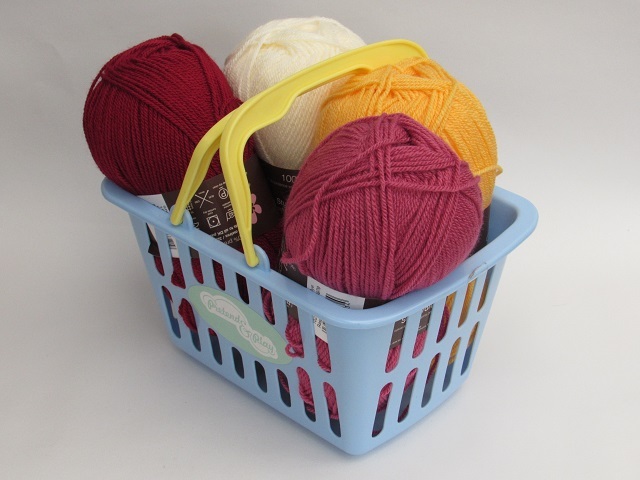 If you are new to Fair Isle knitting, a tea cosy is a great project to start on, because it's not a big item to make. 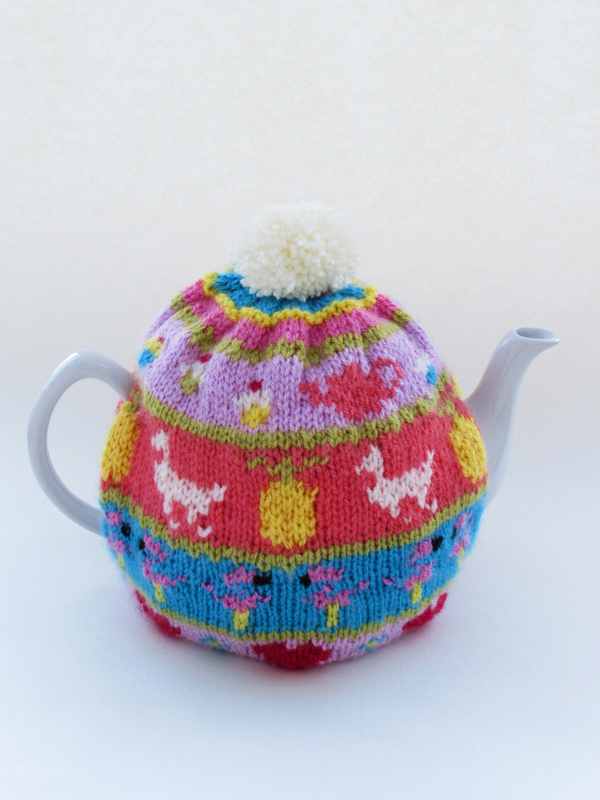 I simply remember My Favourite Things Fair Isle tea cosy, and then I don't feel, so bad!